The Big Island is definitely the gold mine of all the Hawaiian islands for couples that are looking for either a more private or more adventurous holiday/elopement. The Big Island houses almost every single type of terrain that exists in the world, which means that there is something for everyone when it comes to activities and things to do/places to see. If you’re the type who just wants a Mai Tai on a quiet white-sand beach, or conversely are dying to scuba dive with giant manta rays and swim with dolphins, the Big Island is the place for you. 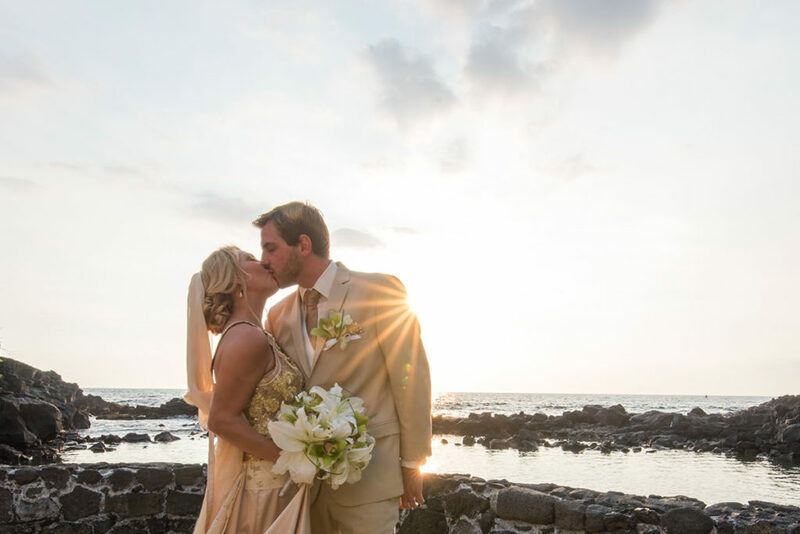 For these reasons and many more, the Big Island is the perfect spot for your Hawaii elopement. We’ll help walk you through the process of making the most of your ceremony and your trip. Choosing your date is the first step to making it all happen for you and your honey! Whether you’re escaping the cold of winter or taking a stellar summer vacation, the average temperature year-round in Hawai’i is 80 degrees F, so you can’t go wrong with any time of year! Even their rainy season isn’t that rainy. Determining the time of year also dictates some of your expenses as prices tend to be higher during tourist season, which lasts from mid-December to mid-April and Jun-September. Once you choose your date, it’s time to choose your vibe! Are you seeking a private white-sand beach with only you and your honey exchanging vows or are you seeking the top of a mountain overlooking the great Pacific? 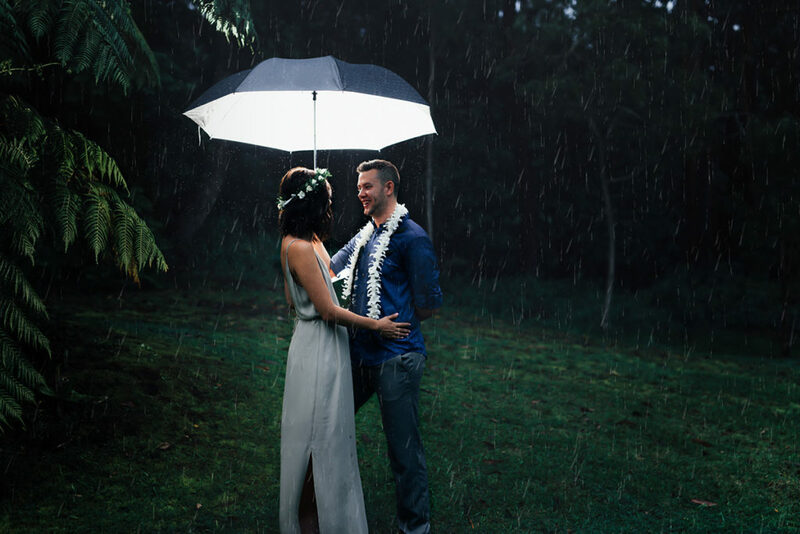 There are a bunch of incredible spots for your elopement on the Big Island; for ideas click here. – How many guests do I intend to invite? Is this an elopement or more of a microwedding? – If I have more than 15 guests, should I find a location that allows chairs? 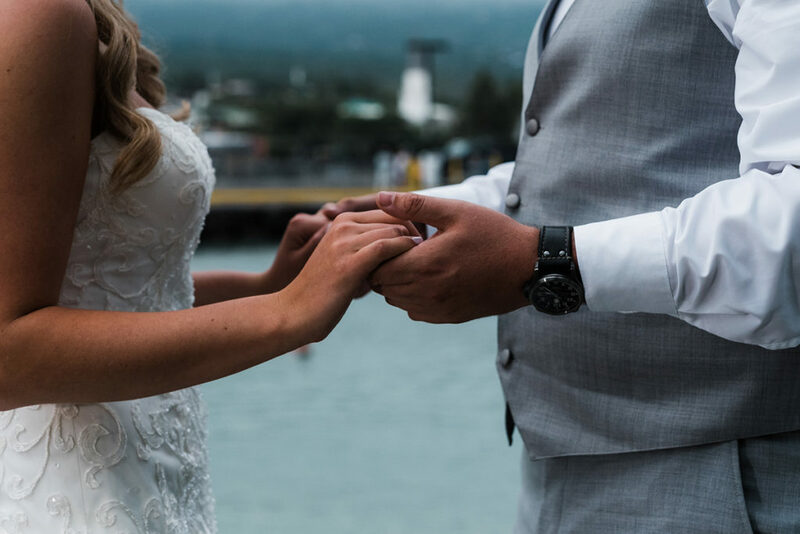 – What kind of ceremony do I want (religious, traditional Hawaiian style or a simple exchange of vows)? – What’s my dream location in Hawaii? Beach? Epic canyon? Near flowing lava? – What kinds of services am I seeking (officiation, photography, videography, help with flowers, hair & makeup, etc)? – What is crucial to have on my big day and what is negotiable? All of these questions will help guide you towards finding the right person to marry you, the perfect location and the ideal look for your ceremony. Every state has different requirements for applying for and receiving a marriage license. The State of Hawai’i is simple in some ways, not so simple in others. In order to apply for your marriage license, you’ll need an ID – state issued or passport works – and a copy of a divorce decree if either you or your honey have previously been married. You can begin this process online, but you’ll still need to make an appointment to validate your information and obtain the physical copy of your marriage license. Luckily, the state of Hawai’i does not require a waiting period nor a witness. The total application fee is $65. It is crucial to receive your marriage license prior to attending your ceremony, otherwise your union will not be legally recognized as a marriage. To make an appointment with an agent to receive your marriage license, please click here. If you have partnered with Simply Eloped, we will send you an itinerary of your elopement details three days prior to your ceremony. This ensures everyone is one the same page for details concerning time, location and series of events. Be sure you’re clear on where you’re meeting and where you intend to hold your ceremony. Your officiant and photographer can always make suggestions if you are unsure. On your ceremony date, everyone from our team will show up at the designated location and the ceremony will commence at the agreed-upon time. Always ensure to bring the hard copy of your marriage license with you, as all parties present will sign. We work to make your ceremony as personalized and special as we are able. We believe that your relationship with each other should be the heart of the vows should be the ‘magic sauce’ that makes this particular union unique to the both of you. Any tips or ideas you have on how we can bring to life the beauty of your relationship, please relay prior to your big day. We’re open to any ideas you have! Reach out if you have any questions about the process of getting eloped in Hawai’i. All images courtesy of Alex Klarc, photographer for Simply Eloped.